IIT Delhi ( Indian Institute of Engineering and Technology),Admission, Courses, Fees, Photos and Campus Video, Review, Ranking Details. IIT Delhi ( Indian Institute of Engineering and Technology), recognized as one of the eminent centers of academic excellence for training, research and development in science, engineering and technology in India. 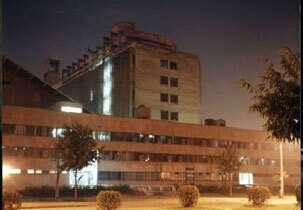 At first, it was established as a College of engineering and later it was renamed as IIT Delhi. It has been declared as an institution of national importance. Ranked 3rd in Science & Engineering category as per outlook survey in the year 2008. Faculty is the backbone of the institute which helps in the operations of the institute. IIT Delhi has state-of-the-art campus and it has been built and designed in a unique way in order to provide best facilities and best learning environment to students. The Centre is equipped with S/W Directory, IBM RS/6000 SP, Sun Ultra Enterprise Server 3000 & 4000, Java Stations and Graphic workstations connected over a switched fast Ethernet. A central, 18 departmental libraries - 246000 bibliographic records of books, over 650 current journals, video library services. Departmental labs with state of the art of equipment. Lecture theatres equipped with latest facilities like online media projectors. Auditoriums, open air theatres, playfields, indoor sports facilities for a beyond - academic experience. The Training and Placement Unit of the Institute is responsible for arranging training of the undergraduate students to meet their degree requirement and to provide world class job opportunities to the undergraduate and postgraduate students after graduation for suitable jobs in the industry and various private and public sector organizations. Median salary : Rs. 11.7 Lakhs p.a. Highest domestic salary : Rs. 20.7 Lakhs p.a. offered by Reliance Energy. Each Hostel is self-contained with amenities such as a reading room, an indoor games room, a lounge and a dining hall with mess.